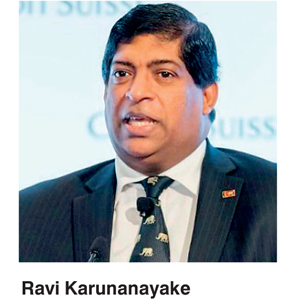 With 6% GDP growth forecast for this year, up from 4.8% in 2015, “Sri Lanka is on the move,” the country’s Finance Minister, Ravi Karunanayake, said in a keynote address at the Credit Suisse 2016 Asian Investment Conference (AIC). A key priority has been to better manage debt and trim costs. To this end, Sri Lanka recently agreed on a $1.5 billion loan deal with the International Monetary Fund (IMF). “We want to clean up past debt and get investors into Sri Lanka by giving them the feeling that the government is not playing around with their funds,” the Minister said. The Budget introduced in November, he said, demonstrated the “consistent and coordinated approach” to managing the economy that the Government hopes will boost confidence. To promote new growth, Sri Lanka is focusing on key sectors such as tourism and agriculture. The Kuok Group is opening a Shangri-La resort in Hambantota in June and has plans for two or three more properties. The Government is making it easier for foreigners to buy holiday or retirement homes. In addition to the traditional products of tea, rubber and coconut, Sri Lanka is diversifying into coffee and expanding its dairy sector. While it has achieved a rice surplus for the first time, it is not yet able to export. Other growing sectors are semiconductor production and services including business process outsourcing, education and healthcare. A major priority is developing industry and trade, particularly through the new Colombo International Financial Centre initiative, which aims to turn capital into a financial hub modelled after Hong Kong and Singapore. Exchange controls will be abolished, Karunanayake said. Sri Lanka is negotiating a Free Trade Agreement (FTA) with China, which the Minister said would be signed by the end of 2016. Combined with its Free Trade Agreement with India, this would give Sri Lanka access to the two biggest markets in the region. India and Pakistan can use Sri Lanka as a platform through which both countries can channel investments, Karunanayake said.